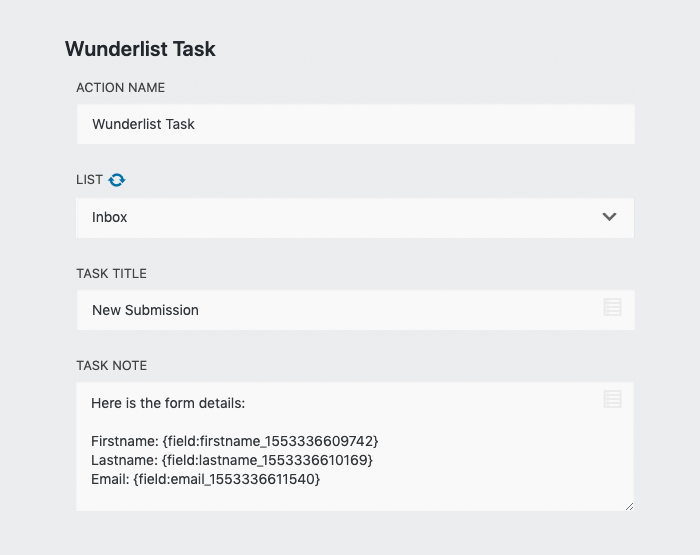 Ninja Forms – Wunderlist add-on will let you add Wunderlist tasks with each time form is submitted. 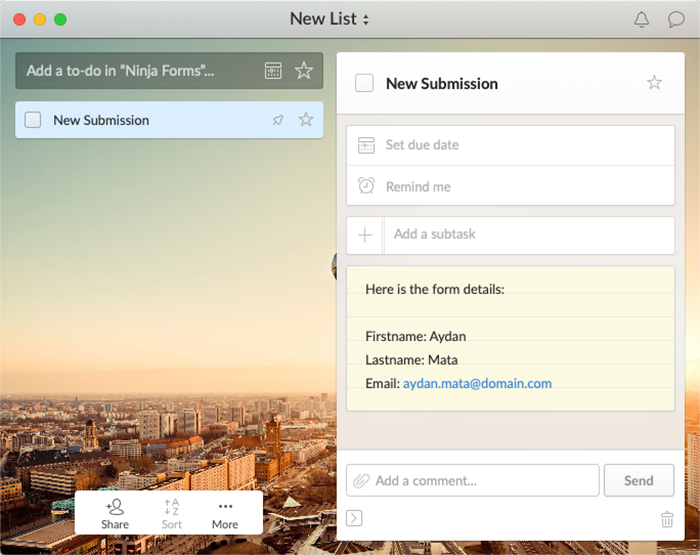 Uses Ninja Forms Emails and Actions to add new task(s) to Wunderlist. Multiple actions can be set up to add multiple tasks to different lists. Supports Ninja Forms merge tags.